This absolutely lovely 2200 SqFt two story Lake home has 3 bedrooms, 2.5 baths and 2 car garage in the Lake Magdalene area! 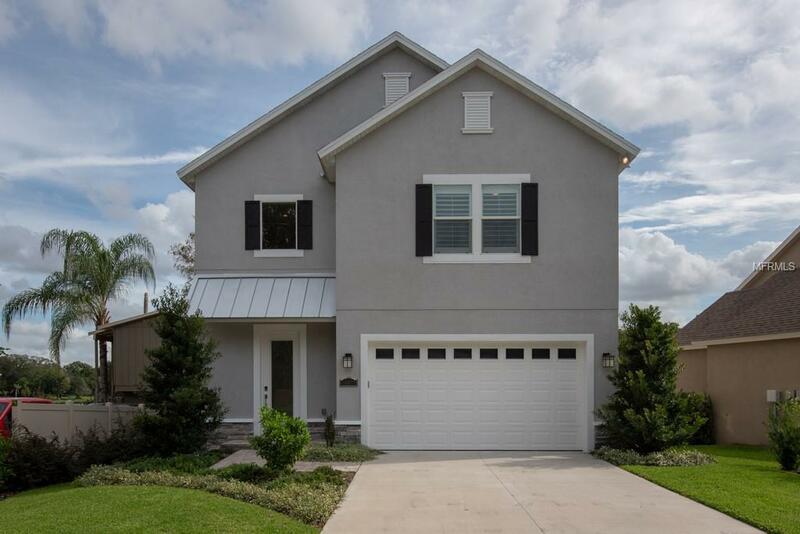 2016 newly built home welcomes you with engineered hardwood flooring in the foyer and Ceramic tile throughout the Great Room, Dining Room and Kitchen. The beautiful kitchen features Stainless Steel appliances, Granite counter tops, Wood cabinets with under cabinet lighting and lengthy breakfast bar for entertaining. The large dining area has plenty of space for a table of 8 or more. Enjoy sitting in the great room w/the gorgeous view of the lake from French doors opening to the outside porch and allowing in plenty of natural light. The porch is built w/a maintenance free composite material & horizontal cable railing. Take the stairs down to the pavered area w/the BRAND NEW state of the art Hot Springs hot tub tucked away for anytime enjoyment-use the remote control to have it hot when you arrive! A small fenced yard w/lush landscaping-giving you a very tropical feel. Upstairs you find the oversize master bedroom & bathroom. Bath has double vanities w/granite counter tops-large glass shower w/garden tub too! Two bedrooms w/Jack-n-Jill bathroom. Conveniently located to everything - access to I-275-Dale Mabry. Shopping, dining & medical are close by.